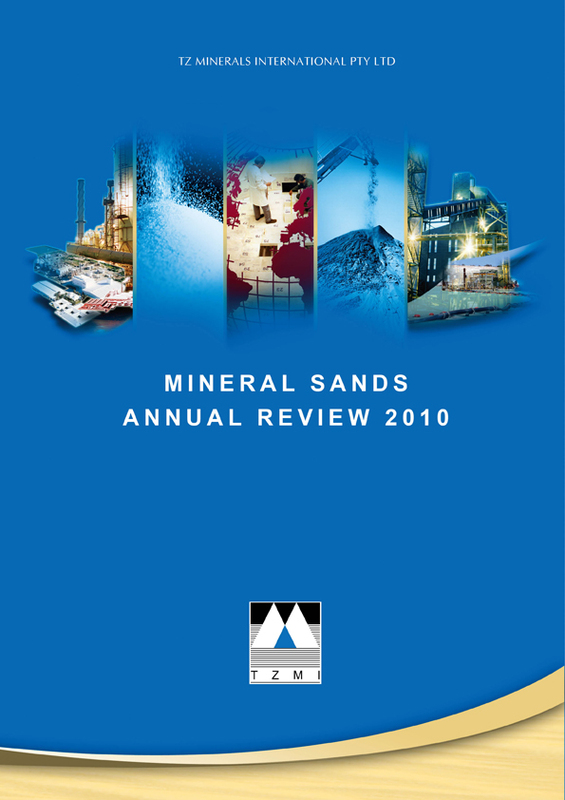 TZMI has released its 18th Mineral Sands Annual Review (MSAR). The focus of this year’s publication is “Industry dynamics following the global economic crisis”. As economic indicators point to the global recovery being well underway, TZMI’s flagship publication discusses the global and regional occurrences and trends in the mineral sands sector, outlining the events of 2009 and how they will influence the future of the industry. An entire chapter has been devoted to discussing the state of the industry post global financial crisis. The definitive reference for the titanium minerals, zircon and TiO2 pigment industries. The dynamics of the titanium industry, as was the case for most commodity markets, during the past year were dominated by the effects of the global economic crisis which unfolded in the second half of 2008 and first half of 2009. As a result, market activity among participants in the titanium feedstock, TiO2 pigment and zircon sectors reflected an industry in distress and were in response to the significant reduction in demand. Demand and, subsequently, trade was, however, seen to increase into the second half of the year as confidence returned to the markets. As in 2008, 2009 saw the feedstock industry characterised by supply side constraints. During 2009 these were largely through conscious efforts by feedstock producers to reduce output in response to rapidly declining demand as a result of the global economic crisis. TZMI estimates global feedstock supply for 2009 to have been 5.4 million TiO2 units. This represents a decline of almost 11% on the figure reported for 2008 and an overall decline in supply of 14% between 2007 and 2009. The year 2009 also presented the pigment industry with an unprecedented decline in demand. In Q1 2009, demand collapsed and inventory levels skyrocketed, leaving producers with no choice but to idle production lines and even whole plants. Cash management was the key survival measure through Q2 and producers carefully managed operating costs. As the year progressed demand started to show signs of recovery, led by Asia-Pacific, which appears to only have treated the global financial crisis as a bump in the road. As a result TZMI estimates the overall demand for pigment for the year dropped by 3% to 4.7 million tonnes. The total end-use consumption of zircon in 2009 is estimated to have been close to 1 million tonnes. While large shifts in inventory over the year leave some uncertainty in the exact figure, consumption was hit hardest in Western Europe and North America, down 24% and 29% respectively. TZMI’s estimate of zircon production was close to 1.1 million tonnes, 15% lower than 2008 production largely due to curtailment of production from most of the larger suppliers. 2010 is expected to end in a small supply surplus, though the level of recovery and progress of new operations may still affect this outcome. Global producers appear to have used the collapse of the world financial markets for a catalyst to change. All too wary of the poor returns the segment has made over the previous 10 or so years, pigment producers will look to rebalance portfolios by keeping high cost plants closed, while at the same time not quickly ramping up output without the justification of acceptable margins. Global pricing appears to have begun its path upwards. Demand for the industries products in Asia-Pacific, particularly China, will lead the growth in 2010 and further into the decade. The mature markets will likely go through a period of apparent demand spike as supply chains are restocked, before returning to more subdued levels aligned with consumer spending and GDP. TZMI’s flagship publication, Mineral Sands Annual Review, defines the standard for industry-wide analysis, providing comprehensive data and concise, independent commentary in nine chapters, which include titanium sponge and metal as well as high purity pig iron. An introduction to the titanium industry and profiles of titanium feedstock, pigment and titanium sponge producers and zircon millers are provided in separate appendices.